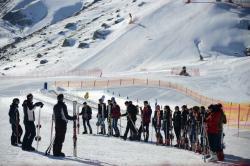 The first ski resort in the history of Azerbaijan, Shahdag, can be called the most popular tourist attraction of the country without any exaggeration. The complex has attracted a large number of holidaymakers from around the world since its opening back in 2013. It is not surprising that the resort is rightfully in the list of three top-ranking destinations preferred by Russian ski lovers in the CIS. The uniqueness of the Shahdag Mountain Resort is that it can receive guests all year round. The temperatures at Shahdag ranges from winter lows of -20°C, -22°C to pleasant summer evenings of 15-20°C. Thus, it is not just a ski resort. 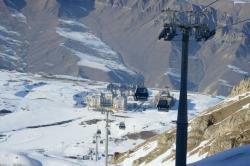 The Shahdag Mountain Resort plays an important role in the popularization of Azerbaijan, the promotion of the country's ancient history, culture and unique nature. 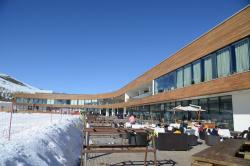 This resort further enhances the importance of the Shahdag complex in the global tourism industry. The site is located on the territory of the Shahdag national park, in the Gusar region of Azerbaijan, 32 kilometers from the regional center Gusar. Pure white snow glittering in the sun, wisps of clouds catching the enigmatic peaks of the Caucasus – this is the view that greets the visitor. In the summer season, guests of the Shahdag tourist center are offered various entertainments that can satisfy everyone’s needs. Special mountain bike tours and simple bike tours are organized for lovers of outdoor activities; vehicles such as trottinet, segway, quad bike and bob cards are offered for those who love speed and other unusual entertainments. Those who love clean mountain air and quiet rest may enjoy walks in the mountains and on horseback. Adrenaline lovers can take advantage of zipline, the descent on a steel rope from a height, an amusement park, or paintball. There are 12 kinds of entertainment for the little tourists, including a children's park and mini-ATVs. In winter, in addition to skiing and snowboarding, travelers are offered a snow tub, as well as to ride snowmobiles or take part in a snowshoe trekking tour. 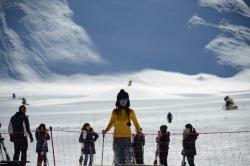 There are five brand new hotels that are interconnected by a ski slope, schools, where beginners are taught not to fall from a snowboard, spas and restaurants in the Shahdag complex. There are both budget options for settlement and off-budget ones. The hotels such as Shahdag Hotel&Spa, Zirva, Park Chalet, Gaya Residence, and PIK Palace that meet modern international standards and are stylishly designed to ensure maximum comfort for the visitors. In addition, special packages with several types of entertainment have been prepared for those who want to relax with their families. While using various entertainments, tourists are provided with all means of security and are constantly under the control of guides. 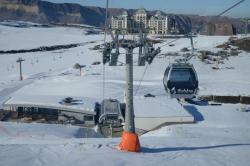 The resort is easy of access from Baku: 200 kilometers - and you are already at the top of the “king-mountain”.